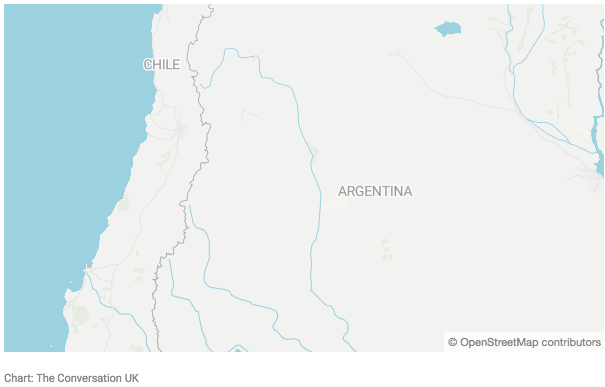 Bolivia really wants a port (or two) to call its own. For more than a century, the landlocked Latin American country has fought with Chile over sovereign access to the Pacific Ocean and territory that Bolivia lost in a 19th century war with its neighbour. A number of legal declarations have been made and several diplomatic exchanges have taken place since then. But Bolivia had its hopes of regaining access to the Pacific dashed by the International Court of Justice in October. The court ruled that Chile is not legally obliged to negotiate Bolivia’s sovereign access to the ocean. The ruling marked a blow to Bolivian president, Evo Morales, who had high expectations of restoring his country’s access to the sea. 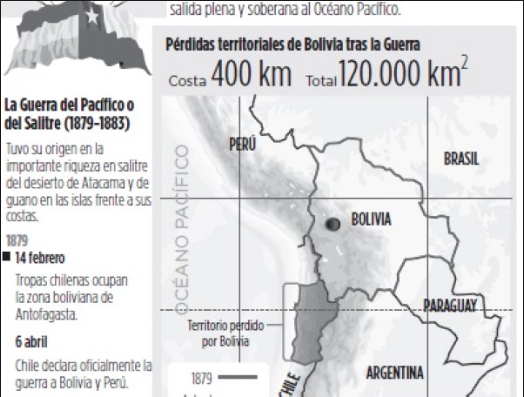 Sovereign access to the Pacific would bring Bolivia significant economic benefits. In particular, Bolivia sought control of the port cities of Arica and Antofagasta. Both cities have around a quarter of a million inhabitants and are crucial for exporting to Asia. Most of Chile’s international shipments take place from Antofagasta and Arica but it does grant Bolivia access to both ports. From here Bolivia mostly ships raw materials (such as tin) and commodities (soy beans and sunflower seeds). Its biggest trade partners are South Korea, India, the United Arab Emirates, Japan and then Belgium. Bolivia shipped about 80% of its total exports from Arica in 2017. Bolivia’s core argument was that this lack of access to the sea has undermined its possibilities of progress as a developing state. Sovereign access to the Pacific Ocean, Bolivia hopes, would significantly improve its bargaining position in Latin American and global trade relations. Had Bolivia retained access to the Pacific, its GDP would be a fifth higheraccording to estimates that take into consideration the effects of it being landlocked on its GDP growth. At present, Bolivia’s GDP is less than 15% the size of Chile’s. Chile benefits significantly from its long coast line. Trade – the bulk of which is with countries outside of Latin America – accounts for 56% of its GDP. This is particularly true in the disputed coastline area which benefits from easy access to ports to ship commodities (copper, molybdenum, silver and gold) from its mining sites to China, Japan and South Korea. Chile does grant Bolivia tariff-free access to the ports of Arica and Antofagasta. It also allows Bolivia to have its own customs officials there. But, despite this, sovereign access to the ports would significantly improve Bolivia’s trade position. It is estimated that the lack of sovereign access to the Pacific ocean adds an additional 55.7% to the price paid per container shipped in comparison to what Chile pays. Being landlocked increases Bolivia’s transport costs as these are higher on land than on sea. Plus, land transport charges are often subject to monopoly pricing in neighbouring countries. Because of this, most landlocked countries are economically disadvantaged – on average, the growth rate of landlocked countries is three and a half percentage points lower than that of other countries. Plus, research shows that, despite substantial trade liberalisation by developing countries in the 1990s, the export performance of landlocked ones was weaker than that of developing countries with sovereign access to seas in the period between 1995 and 2015 due to the additional trade costs associated with being landlocked. For developed landlocked countries like Austria and Switzerland, geography does not have such a big impact on economic performance. Of the 45 landlocked countries in the world, the nine high-income, developed countries in Europe do not have a statistically significantly different growth experience from that of other developed countries. This is because they are surrounded by other developed countries, with access to one of the best trade networks in the world. So the challenges they face are very different to those faced by landlocked developing countries. Bolivia is not in any position to achieve this and is unlikely to accept the international court’s decision quietly. There is clearly a political element at play here too – access to the Pacific is an emotive issue for the Bolivian people. But the country might be better off economically if it focuses on diversifying its trade strategy instead of just fighting for sovereign access to Arica and Antofagasta. Instead of focusing on sea routes, it should build better trade relations with South American trade blocs. Both Mercosur (which includes Brazil, Argentina, Paraguay and Uruguay) and the Pacific Alliance (which comprises Chile, Peru, Colombia and Mexico) are options. Bolivia’s economic growth would benefit more from making alliances with its neighbors, rather than prolonging an uncertain legal battle. This entry was posted in Bolivia, Business, Economics, Politics, Social Unrest and tagged 1879 Pacific war, invasion. Bookmark the permalink.